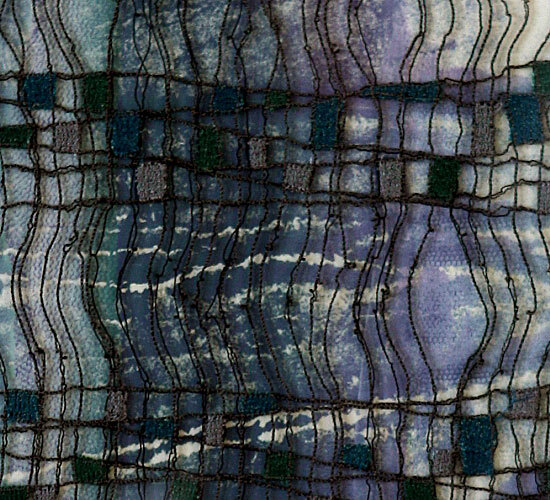 My embroidery explores ways in which elements can be extracted from objects or scenes in the natural world and assembled to create a work of the imagination which does not simply represent the original but exists as its own separate reality. In one piece for example, gathered flowers have been used to create a fragment that suggests simultaneously the fragility and resilience of life by evoking a sense both of decay and of rebirth. 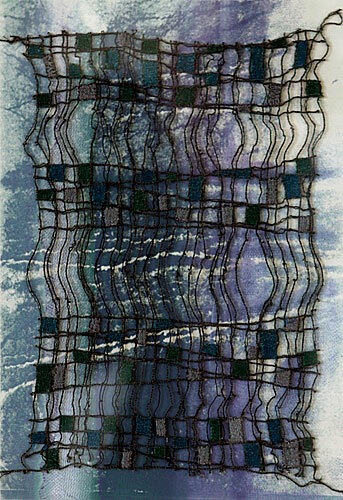 In another a silk screen print of trees and water was the starting point for an embroidery in which the underlying harmony of nature suggested by the scene in the print is translated abstractly by lines and colour.